Item # 300490 Stash Points: 995 (?) This is the number of points you get in The Zumiez Stash for purchasing this item. Stash points are redeemable for exclusive rewards only available to Zumiez Stash members. To redeem your points check out the rewards catalog on thestash.zumiez.com. 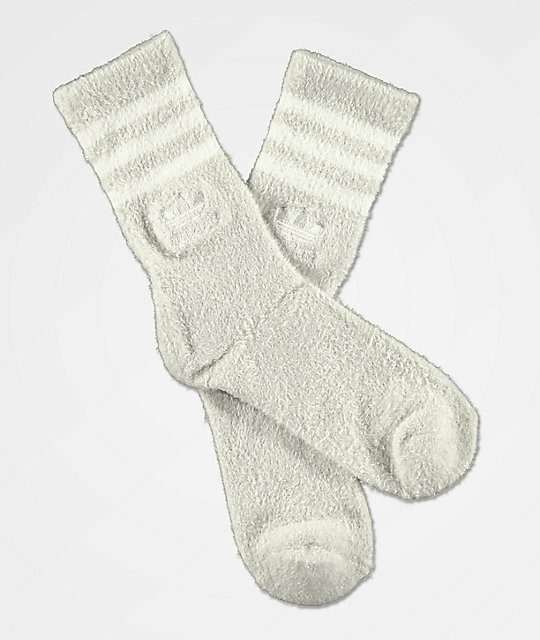 Cozy up in the Raw White House Crew Socks from adidas. These lounge socks are made with a soft moisture wicking construction for major comfort. Complete with an embroidered Trefoil logo at the uppers and the iconic 3 stripe details, these socks are the perfect addition to your sock drawer. Raw White House Crew Socks from adidas. Super soft moisture wicking construction to keep your feet dry. Embroidered adidas Trefoil logo and knit 3-stripe logos on upper. 85% nylon, 11% polyester, 2% spandex, 2% natural latex rubber.